Belgian police arrested a man carrying a suitcase full of explosives after shooting him in the leg during an operation in Brussels, according to RTBF. Two other arrests were also made on Friday. Mayor Bernard Clerfayt said the suspect was linked to the Tuesday attacks in Brussels, according to RTBF. Witnesses told local media that police shot the man in the leg at a tram stop in the Brussels neighborhood of Schaerbeek after he failed to respond to orders. The man had a girl of about eight with him, according to one witness. Video from the scene showed the man lying on his side among shattered glass from the tram shelter. A bomb squad robot approached the man, checking for explosives. A heavy police presence was reported at the scene. The operation was conducted near Meiser Square and involved special units, RTBF said, adding that a tram which was passing in the area was evacuated. “You have no idea what is happening there,” a local police officer told RTBF journalists at the scene, asking them to retreat. Two other arrests were also made in Brussels on Friday, according to Reuters. A person familiar with the investigation said that one of the people arrested was believed to be a suspected accomplice caught on security camera footage with the metro station bomber. "We have strong indications that this is the suspect who was hunted for the last couple of days. The identification is still ongoing," the source said, as quoted by Reuters. De Standaard newspaper stated that police had also arrested the man wearing a hat who is seen standing next to Khalid El Bakraoui in security footage prior to the airport attacks. Meanwhile, Der Spiegel reported that German police had arrested two people, one of whom had received phone messages with the name of the metro station bomber and the word "fin," which means "end" in French, three minutes before the Tuesday metro blast. The German Interior Ministry declined to comment. On Tuesday, the Belgian capital was rocked by twin blasts at the city’s Zaventem Airport and an explosion at the Maalbeek Metro station, just meters away from key EU buildings, less than an hour later. The attacks killed 31 people and injured 270 more. The Belgian prosecutor named brothers Ibrahim and Khalid El Bakraoui as the suicide bombers behind the Metro and airport attacks. Another suspect, Najim Laachraoui, is still at large. At least seven people were detained during overnight raids in Belgium, the federal prosecutor's office said on Friday, as cited by RTBF. 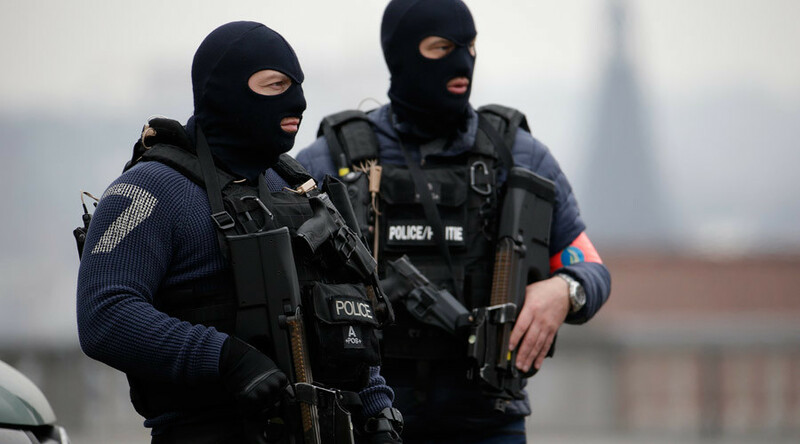 According to the prosecutor, six people were arrested during searches in the Schaerbeek and Jette areas of Brussels, as well as in the center of the Belgian capital. The seventh suspect was arrested in the Forest borough of Brussels early on Friday. On Thursday French police arrested a suspected militant linked to a terrorist cell that was planning a new attack on French soil, Interior Minister Bernard Cazeneuve said. Following the arrest, the police conducted a night raid targeting an apartment building in Argenteuil, a northwest Paris suburb, Cazeneuve added.